I hope everyone had a great Christmas! 🙂 Now it’s time to celebrate and get ready for 2016. If you are going to watch the ball drop at a friend’s house or from the comfort of your own home, I have made some appetizers that are both super easy and great crowd pleasers. 2. Mix all ingredients in medium size bowl. 3. Serve with your favorite chips, veggies or pretzels. 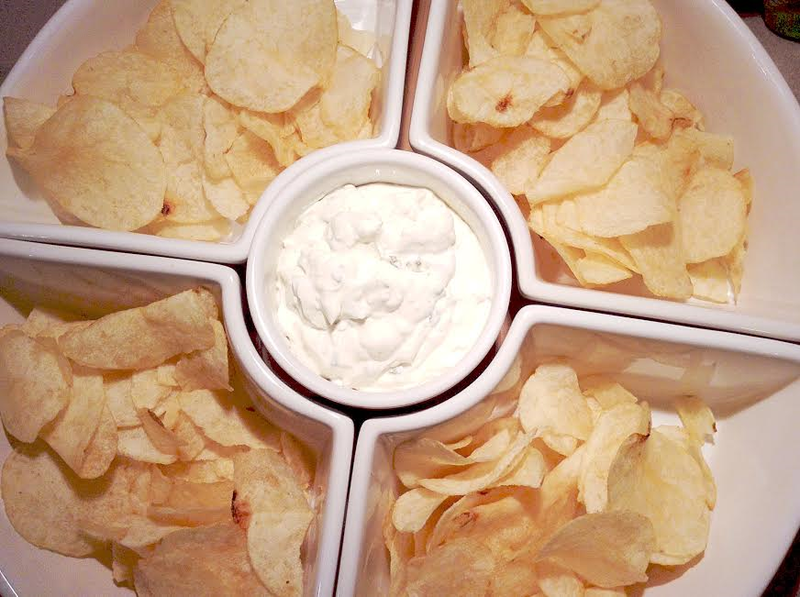 Chips and dip are one of favorite party snacks. I’ve tried multiple brands of dip from the store; however, I think this homemade version tastes so much better. The dry ranch dressing mix adds a little extra flavor; it’s delicious! I never buy dip from the store now. 2. Slice kielbasa in 1/2 inch circles. 3. Mix chili sauce and grape jelly in medium size bowl. 4. 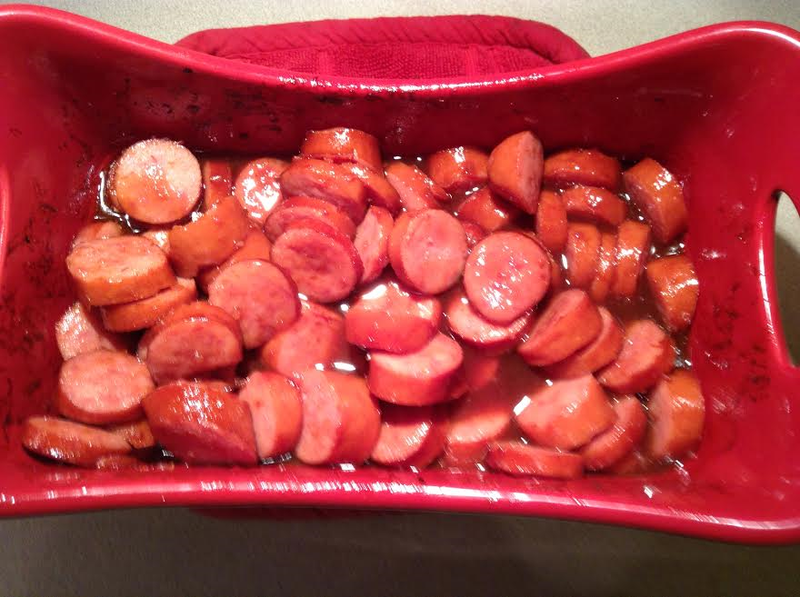 In a greased baking pan or casserole dish, mix the sauce and kielbasa so the kielbasa is covered. 5. Cook for 30-40 minutes, stirring throughout. This is another delicious dish! 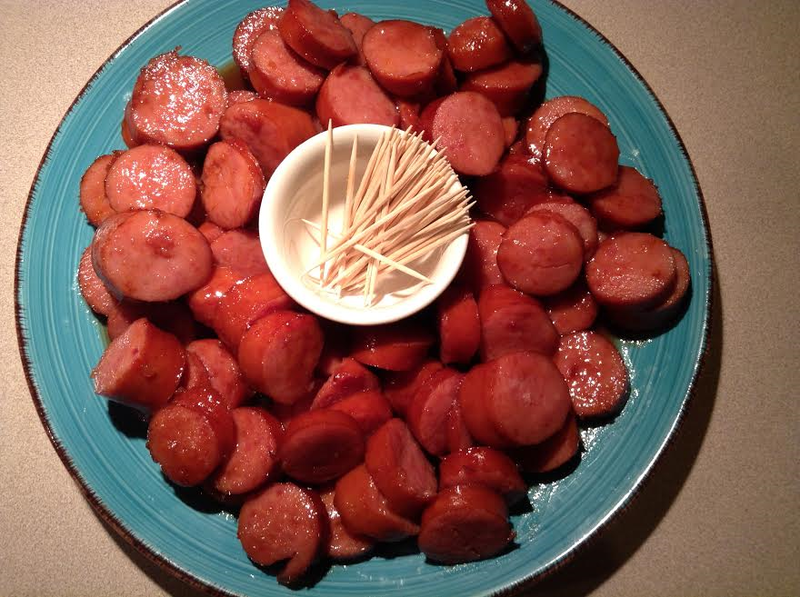 In my family, it’s a tradition to serve kielbasa and pork on New Year’s Eve and New Year’s day because it is believed to bring you good luck in the new year. This is a great alternative for sauerkraut and kielbasa. It’s also a great appetizer or simple dish to make for a pot luck. When you see the ingredients (jelly and chili sauce) you might be skeptical, but I assure you, you won’t be disappointed. I hope everyone has a safe and fabulous New Year’s!! !